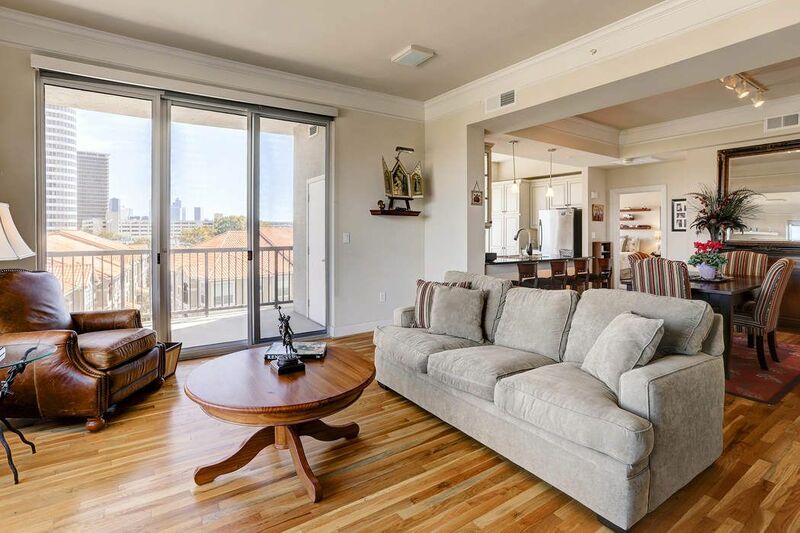 3333 Allen Parkway Unit 510, Houston, TX 77019 | Martha Turner Sotheby's International Realty, Inc. 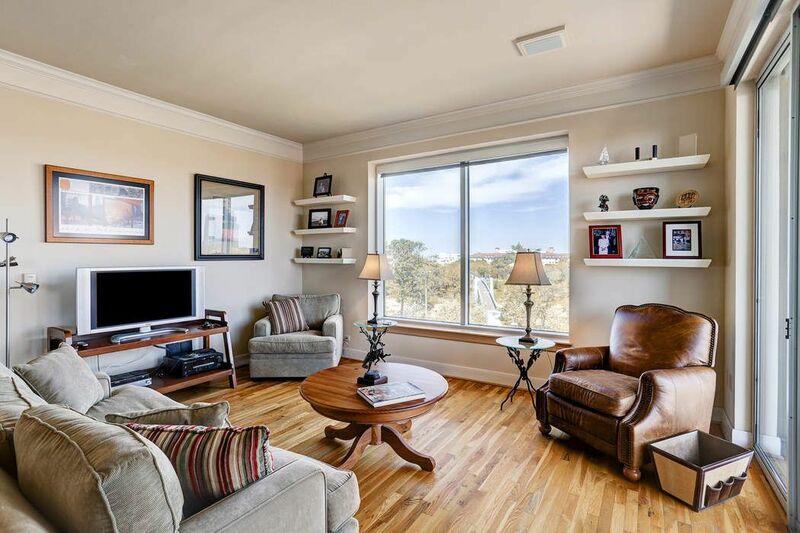 LIVING ROOM (17x14) Floor to ceiling windows provide stunning views east and north from this 2 bedroom/2 bath corner unit at The Royalton. KITCHEN (16X14) The spacious Kitchen features tile floor, granite countertops, stainless appliances and custom cabinets. BALCONY - The generous sized Balcony (91 sq.ft.) is the perfect spot for evening cocktails and conversation. LIVING ROOM (17X14) Large windows allow stunning views from every room while solar shades on every window provide privacy and lower temps. 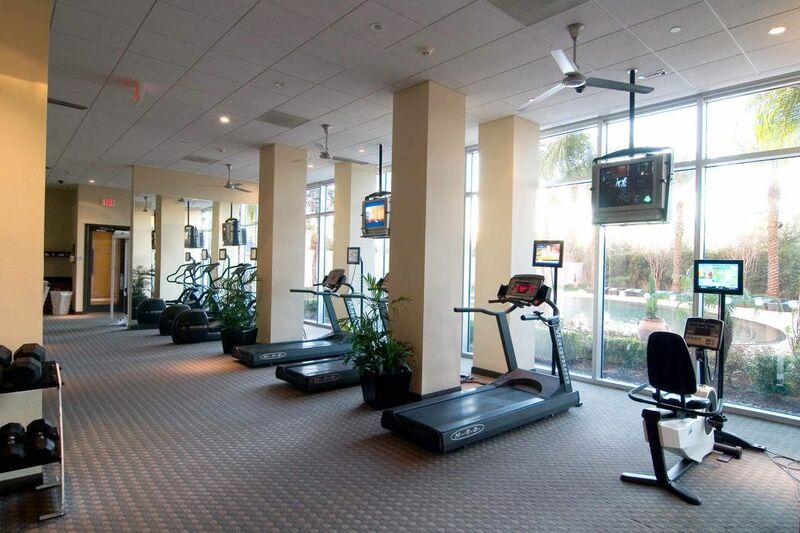 GYM - No excuse for missing your morning workout with this 3,000 sq.ft. gym on the first floor. Weight machines, free weights, elliptical machines and treadmills are available for residents' use. POOL - Beautiful infinity edge pool at The Royalton delights residents and guests alike. MASTER BEDROOM (16X12) Recent carpet, ceiling fan and a faux electric fireplace complete the decor of the Master Bedroom. 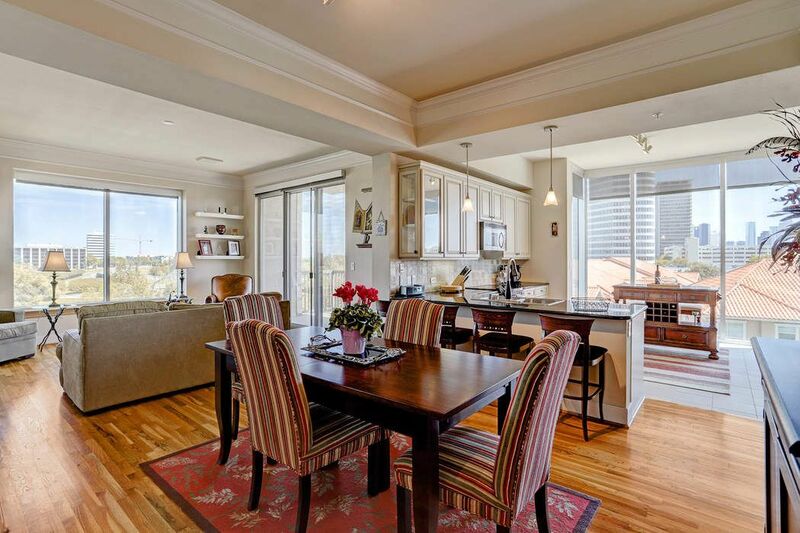 Stunning views of the pedestrian bridge over Buffalo Bayou add a soothing touch to the room. 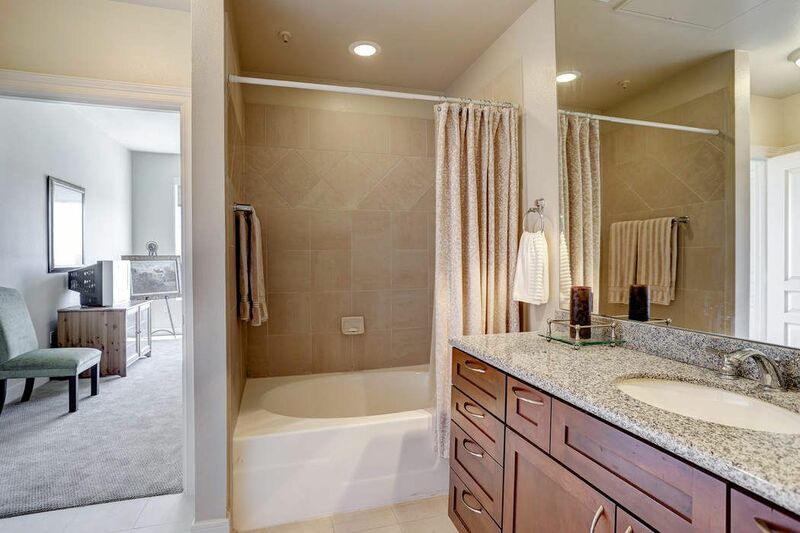 MASTER BATH - Connected to the Master Bedroom, the large Master Bath includes a separate tub and shower and double sinks with a granite countertop. 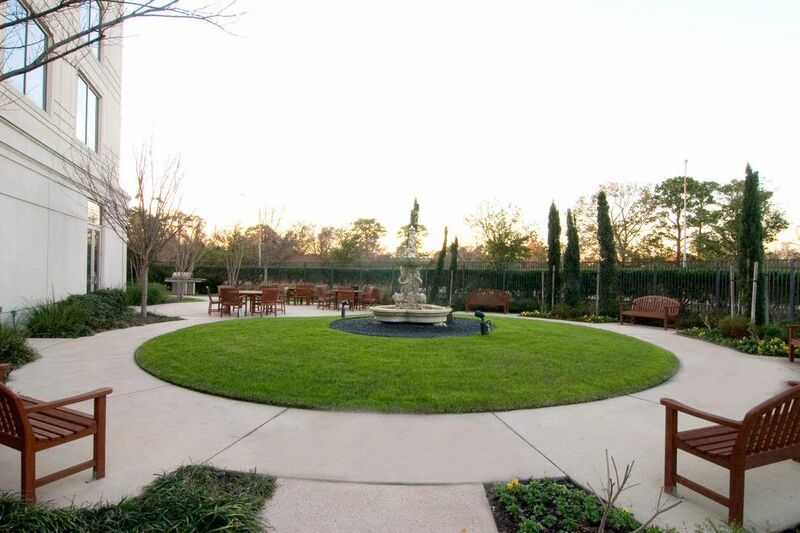 EXTERIOR GARDEN - The view from the Master Bedroom window is of this lovely garden below, a perfect spot to relax with a book or entertain guests at sunset. DINING/KITCHEN AREA - Pendant lights hang above the granite topped breakfast bar in this light and airy space. 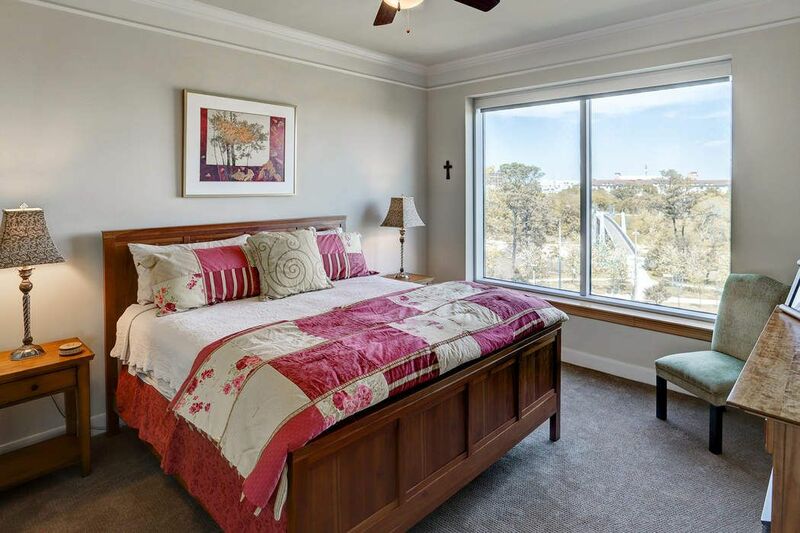 Beautiful views abound from all sides through the floor to ceiling windows. GUEST BATH - Adjoining the secondary bedroom, the Guest Bath features a tub/shower combination, tile flooring and an under mounted sink with granite countertop. 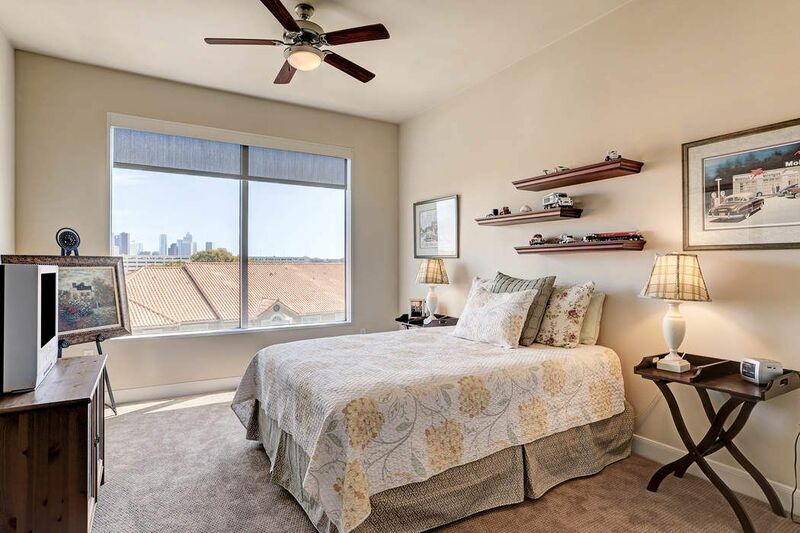 SECONDARY BEDROOM (15X12) Guests will enjoy the skyline view of Downtown Houston as well as the recent carpet, ceiling fan, solar shades and private bath. 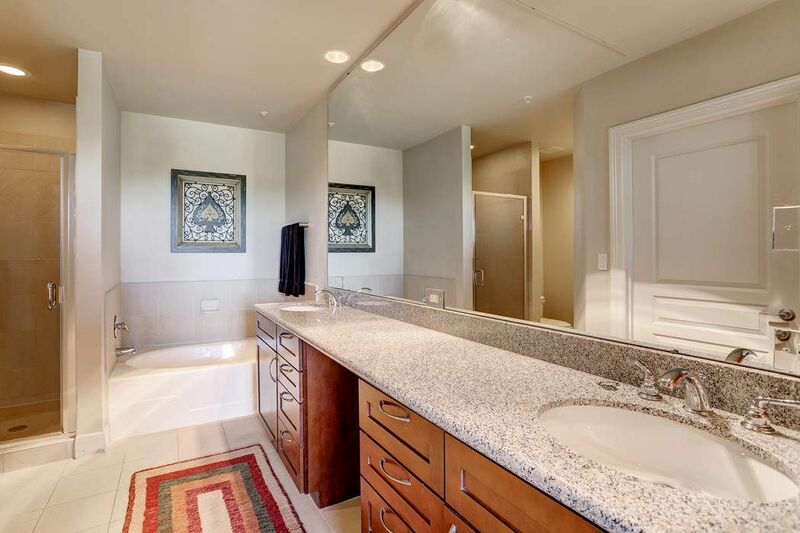 HOLLYWOOD BATH - With access from both the entry hall and Guest Bedroom, this Hollywood Bath boasts two sinks, granite countertop and a large walk-in closet. GUEST BATH - With direct access from the entry hall, the Guest Bath boasts a pedestal sink, framed mirror and tile flooring. 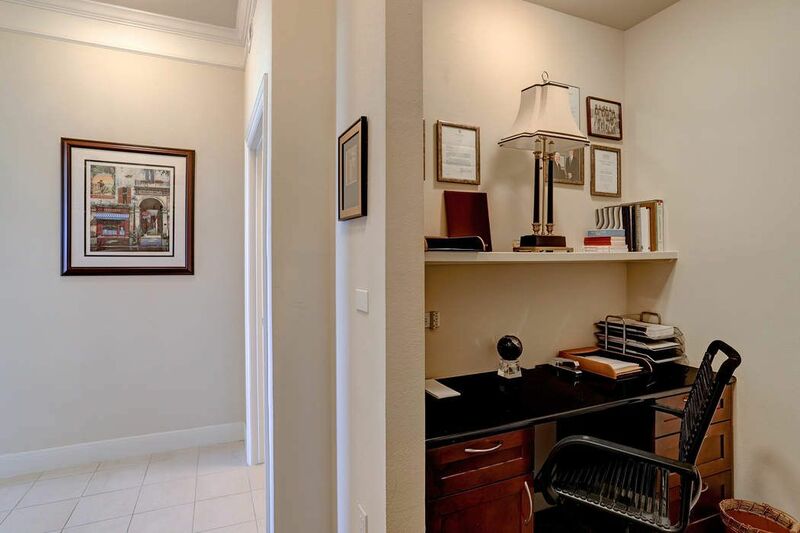 OFFICE NICHE - Off the entry hall, an Office Niche provides much needed computer and work space. A separate closet houses the full sized washer and dryer, which will remain with the unit. 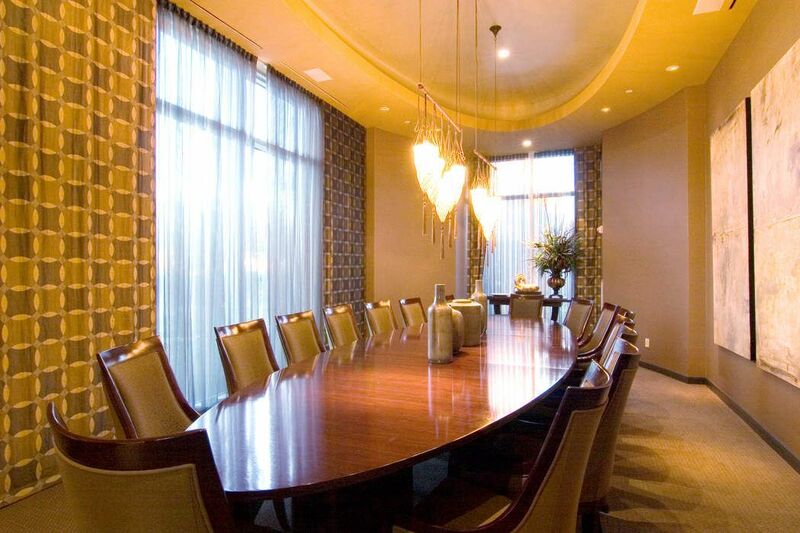 CONFERENCE/DINING ROOM - The Royalton affords residents multiple amenities including a catering kitchen and adjoining Conference/Dining Room, perfect for business or family gatherings. 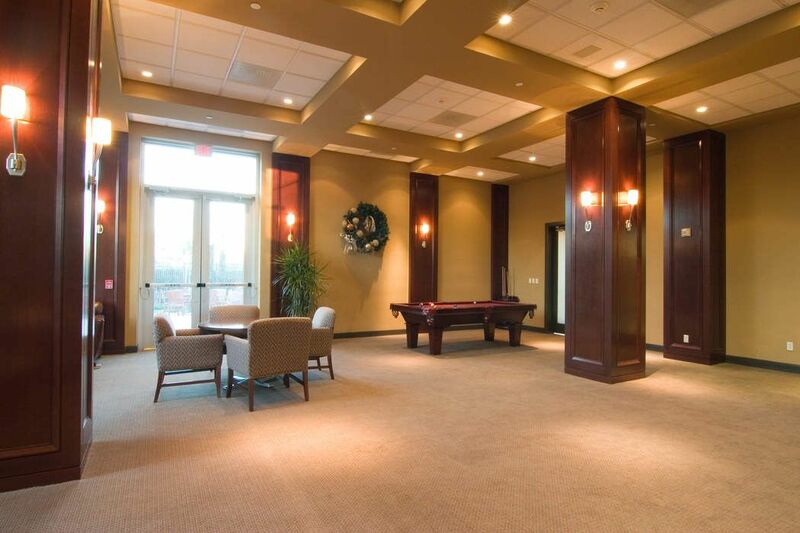 BALLROOM - Other building amenities include a large Ballroom for special events, a wine room and complimentary valet parking. 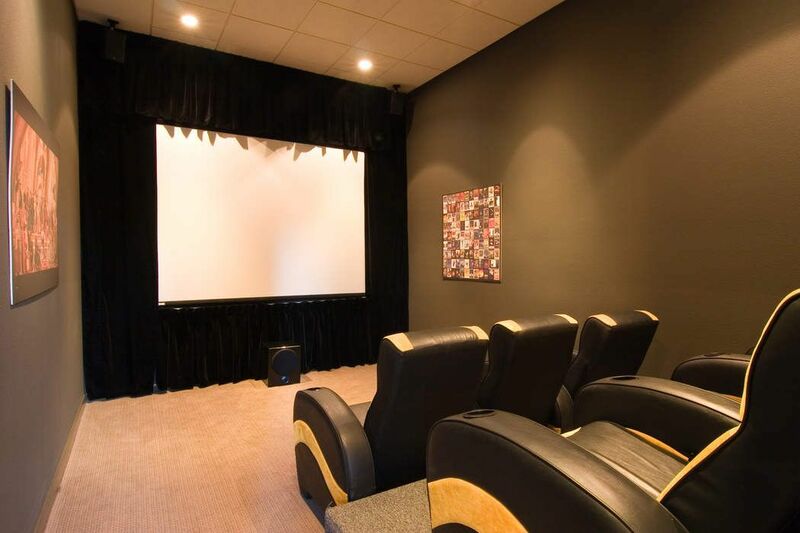 MEDIA ROOM - Enjoy movies in The Royalton's Media Room. Two other building amenities are the two Guest Suites available for overnight guests and the 24-hour Concierge service. 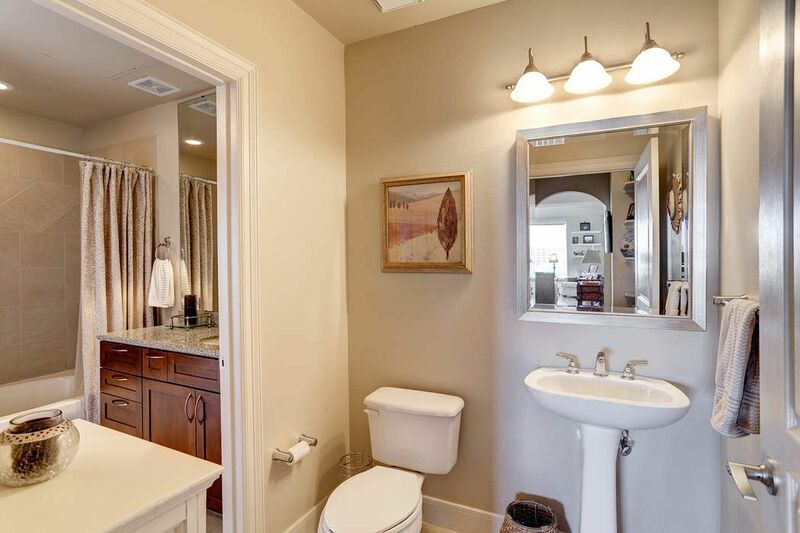 $520,000 2 Bedrooms2 Full Baths1,514 sq. ft. 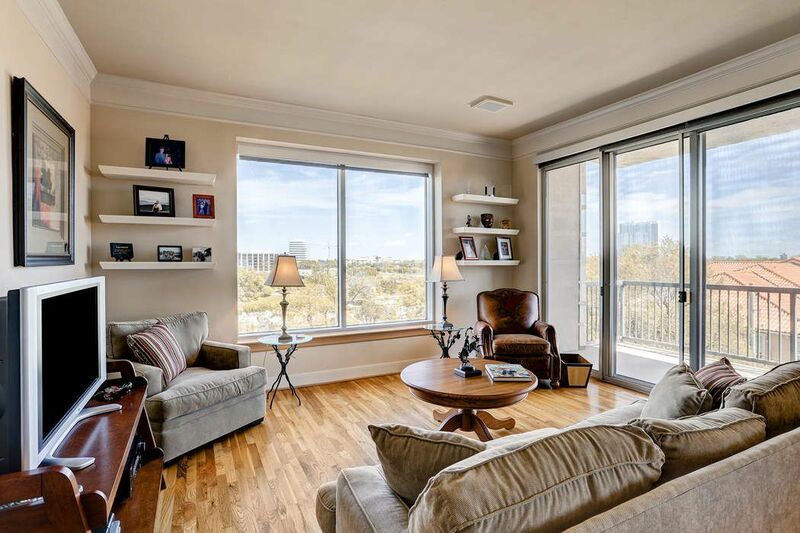 This spacious fifth floor corner unit in The Royalton offers breathtaking views of Buffalo Bayou and Downtown Houston. 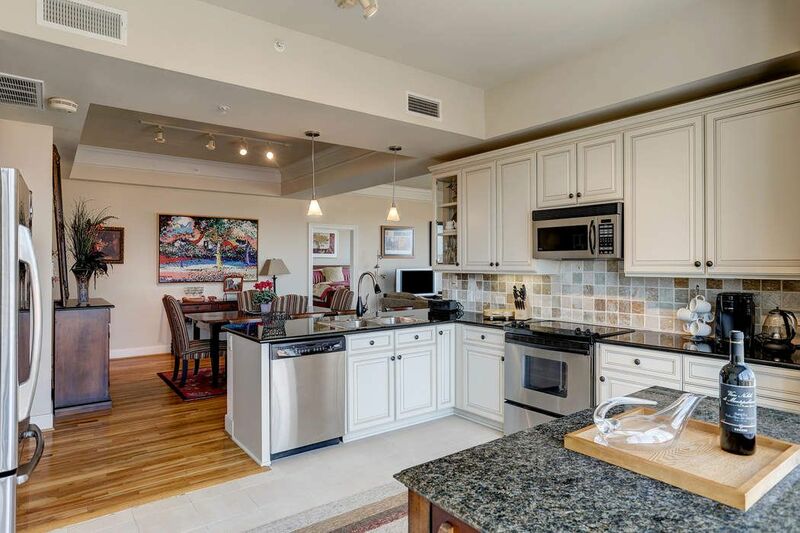 The open floor plan with a Kitchen breakfast bar and Living/Dining combination is ideal for entertaining. 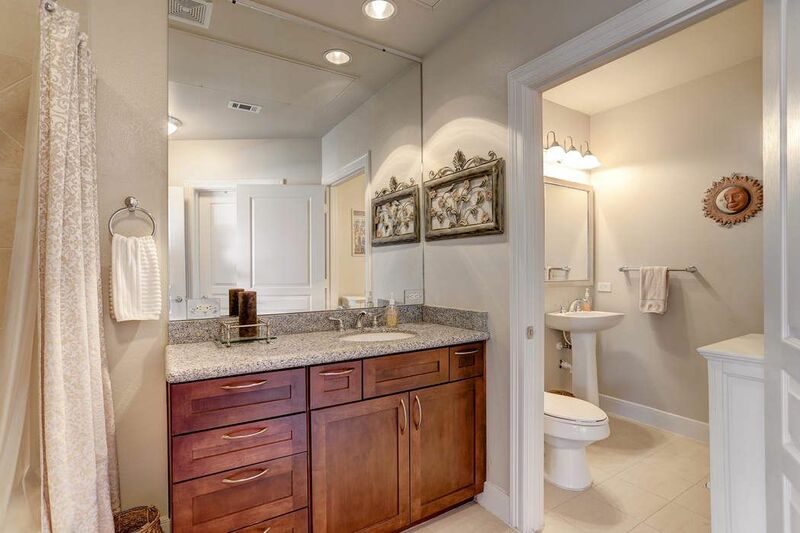 The two Bedrooms reside on opposite sides of the Living Area, and both afford beautiful views, private Baths, carpeting and ceiling fans. Hardwoods run throughout the Living/Dining area, and a separate storage unit is located on the first floor of the building. 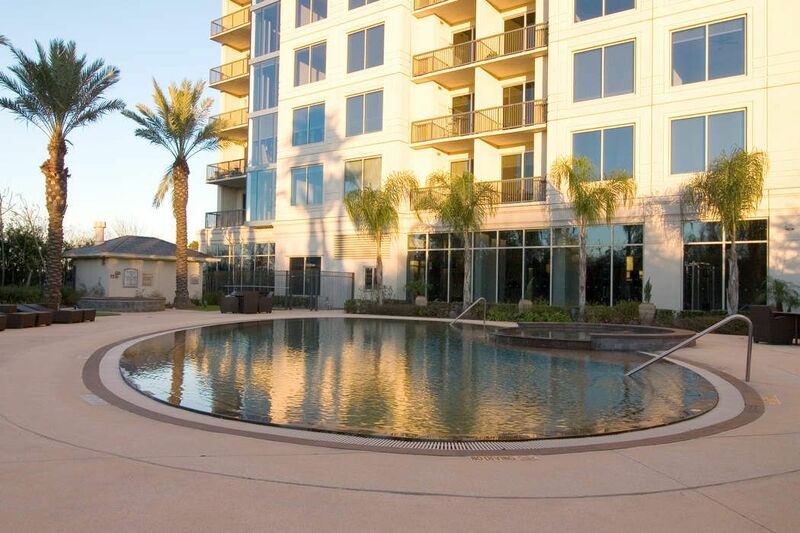 Built in 2003, The Royalton provides its residents with multiple amenities including complimentary valet parking, a 3,000 square foot Gym, Media Room, 24-hour Concierge, infinity edge Pool, Catering Kitchen with private Dining Room, two Guest Suites, Wine Room and a large Ballroom for special events.